Though they've always believed in an active, healthy, outdoors lifestyle, Melanie McVean and Chris Caley, science, marketing and healthcare professionals, didn't believe in putting strong chemicals on sensitive areas of skin. 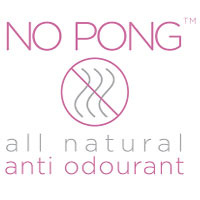 This led them to developing an extremely effective, all-natural alternative to over-the-counter deodorants, which they successfully achieved by combining science with the right natural ingredients, and in 2015 No Pong was founded. Believing that effective, natural products should be both affordable and convenient No Pong, an Australian company, was deliberately established by Melanie and Chris as an online business in order to keep overheads as low as possible. 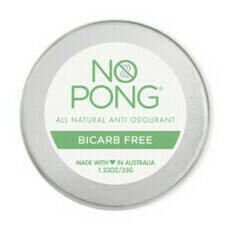 The packaging for No Pong Anti-odourant was also specifically designed to keep postage costs to a minimum. In addition, No Pong's commitment to sustainability means that the packaging is reusable and recyclable, and does not involve the use of plastic. 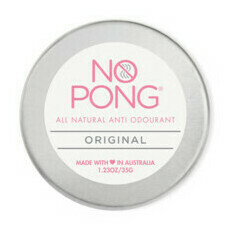 No Pong products are Australian-made, cruelty free and non-GMO.